Divora is Italian for Devour. We devour food & culture, both. My dream is to show you the essence of my country, the relaxing and wholesome Mediterranean lifestyle and its delicious culinary and cultural traditions. My family and friends in Italy will welcome you with open arms as I include them in our experiences, to make sure you truly feel at home, in Italy, with me. Come along to my birth-city and country (and to nearby Greece) as I take you on a trip of a lifetime, perfectly curated and catered to you. You'll be my guest and you'll live as a local, for 5 or 9 days (depending on the adventure chosen), all-inclusive. THE ISLAND OF NAXOS: This is as all-inclusive as all other DivoraRoma adventures in Italy... but in Greece! Our local guide is my good friend Adonis whom is form the area and eager to show off his foods, culture and country's beauty. The island of Naxos is agricultural and historically oh so rich. Join us! ROMA: The historic center of the Roman Empire and the birthplace of the Baroque art movement (among so much more). 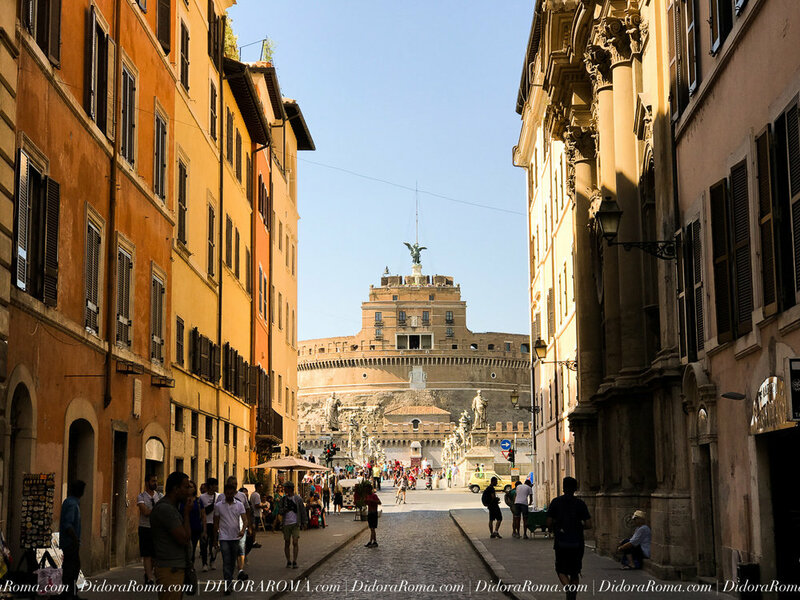 Live nestled in the center of Rome in our very own, luxurious and private flat, walking distance from it all. Eat local food, drinks local wines, experience a Unesco World Heritage city as she should. Join me! SICILIA: Sicily is a beautiful pearl in the Mediterranean, with its delicious volcanic soil producing wines, foods from the sea, and a rich history of Greek, Arabic and Roman culture and archaeology. We will lodge in a historic farm house and enjoy the scenery as well as hands-on cooking classes and wine tastings. Join me! Simply send me a message with your desired location in Italy, the number in your party (minimum of 4, please) and a range of preferred travel dates. Calculate that my culinary adventures need a minimum of one week (7 days) to complete. I would be happy to organize a custom adventure for you and your group. Let’s go! for a daily dose of Italy!